The new XF2200 filler is based on our level fill unit with a gas purge cycle and switch that initiates the flow once the can is placed on the shelf. The carbonated beverage filler is a open fill system that fills cans from a pressurized source, such as a keg or brite tank, using a sensor probe that shuts off the fill at the desired height. The fill cycle includes a pre-fill purge with CO2 in reduce the oxygen intake. We have modified the valves and flow path diameters resulting in a much better flow with less foaming. To minimize excessive foaming during the fill, lengths of tubing can be installed to fill from the bottom. 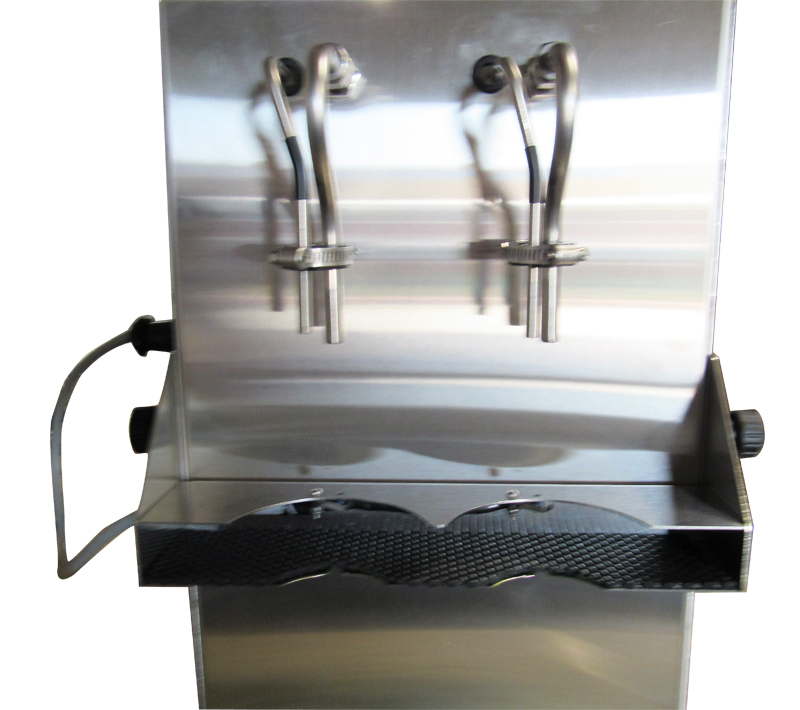 This filler was designed to be an affordable option for filling cans of beer, kombucha or other carbonated beverages. Employing the optimum conditions of temperature and pressure provides an effective fill with minimum CO2 loss. This filler can be used with most can sizes. Able to accommodate most can sizes.